I am having a major moment with rainbows right now and I want them everywhere! Sometimes I think it's the 90s Lisa Frank fan girl in me coming out. 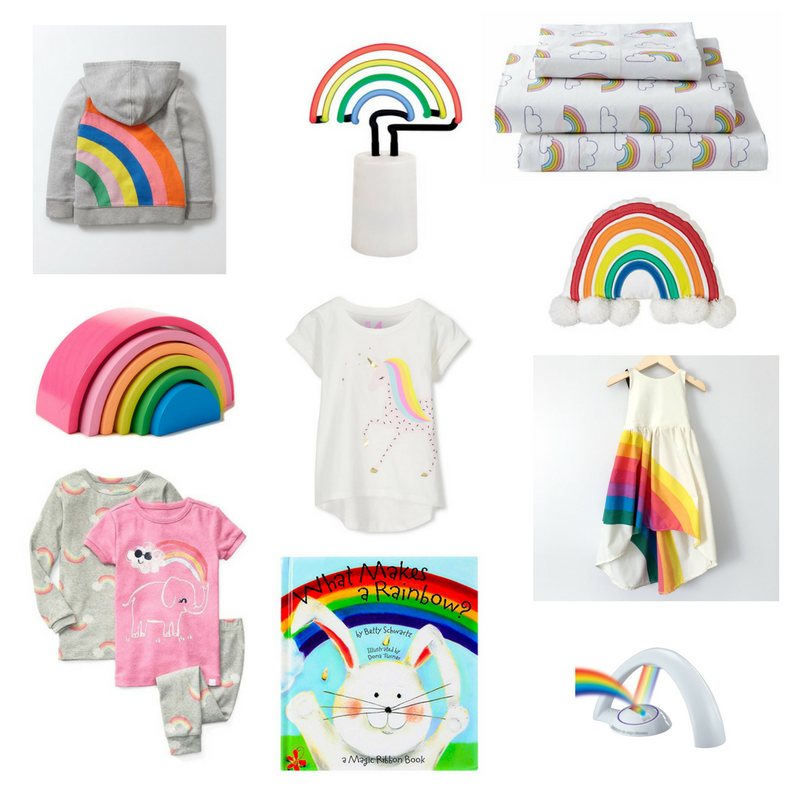 I've rounded up some sweet rainbow themed items (can those bed sheets miraculously show up at our house?) but easily could have picked out a lot more! The rainbow book is a favorite at our house because a string pulls through all the pages to create a rainbow. P has just started "reading" to me and it is the cutest thing ever. My favorite line of hers is "gweem makes a wainbow". We've been having so much rain lately that I am hoping a big rainbow will make an appearance soon! Oh em gee! This is all SO cute! Those rainbow blocks... soooo worth it!